Bayanaul mountains are a mountain range located in the southwest of the Pavlodar region of Kazakhstan. The mountains stretch from west to east for 40-50 km, from north to south – for 20-25 km. 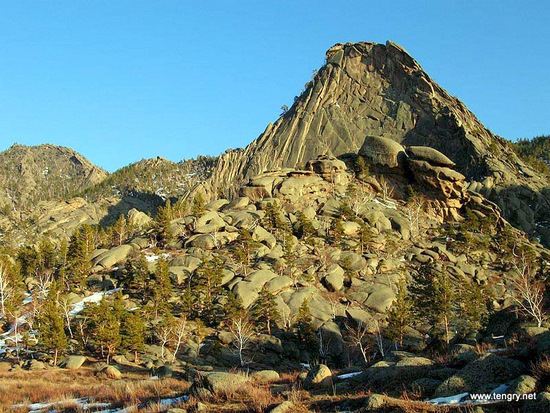 The highest point, Mount Akbet, reaches 1,022 m above sea level. 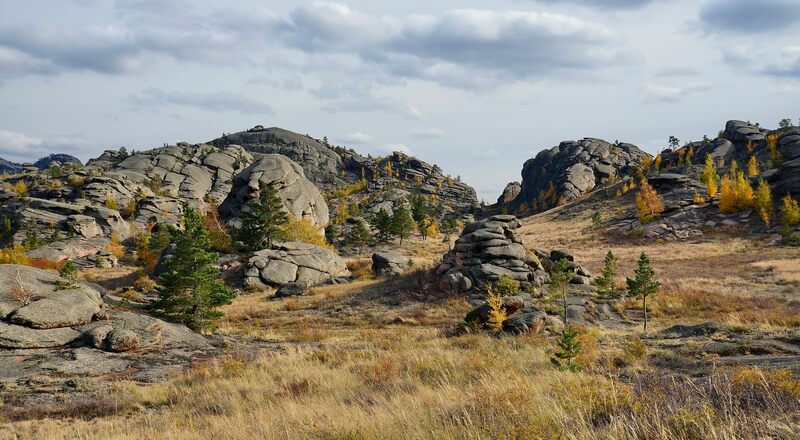 Bayanaul State National Natural Park, one of the most protected natural areas of Kazakhstan, was created in this territory. 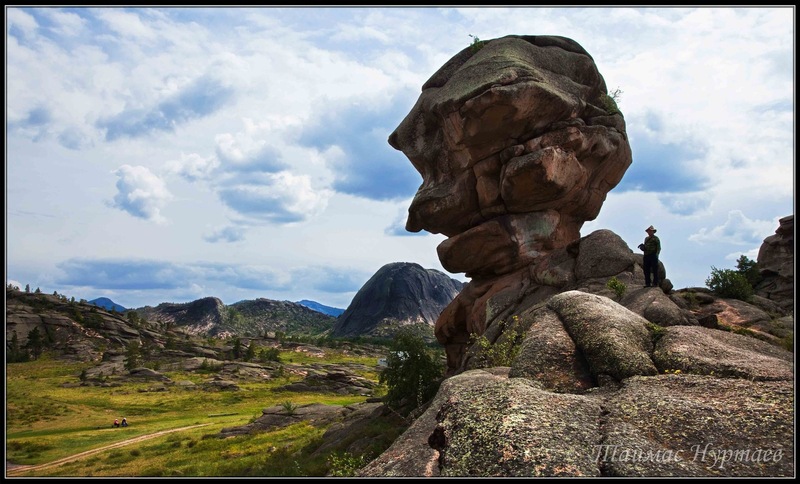 Founded in 1985, it became the first national park in the country. Bayanaul mountains on Google Maps. Photos by: Zekkadrb. Bayanaul State National Park is a national park located in the south of the Pavlodar region, 100 km from Ekibastuz city. 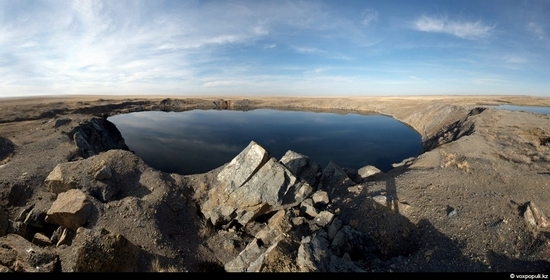 This reserve is one of the specially protected natural territories of Kazakhstan. The park, founded in 1985, is the first national park in the country. The total area of ​​the park is 68,453 hectares. Not so long ago Kazakhstan commemorated the 20th anniversary of closure of the Semipalatinsk nuclear test site. It is located on the border of East Kazakhstan, Pavlodar and Karaganda oblasts, about 130 km northwest of Semey city. The main attraction of the area is “atomic” lake, which is located at the test site “Balapan”. It was formed in the explosion of a thermonuclear warhead of 140 kilotons of power in 1965.